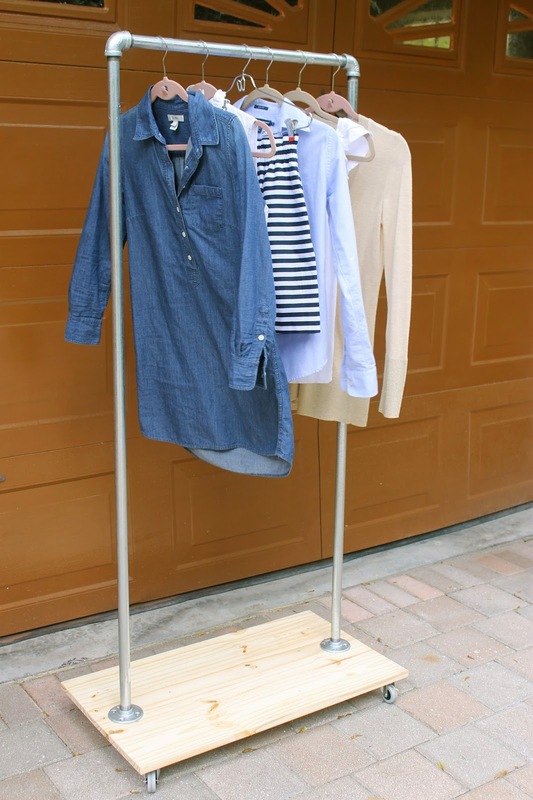 Galvanized steel & hardwood garment rack on wheels. 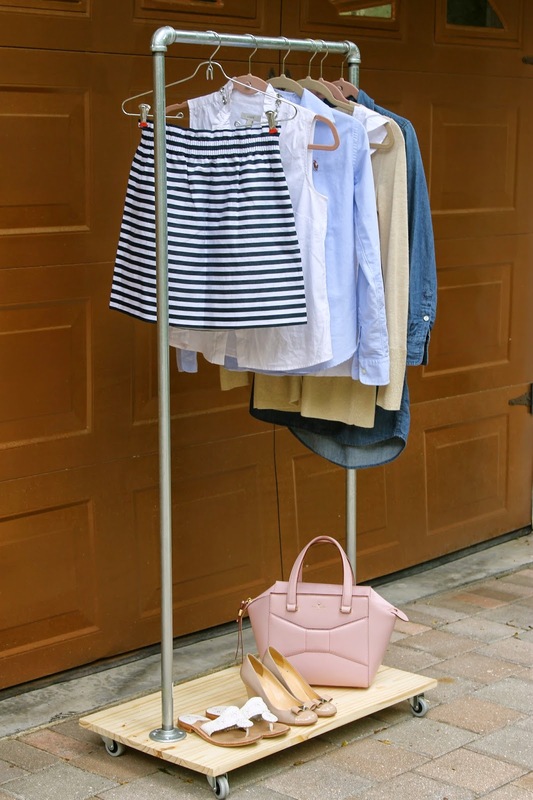 Wardrobe your weekly outfits or use it for extra storage! Going on a trip? Pull outfits to prepare for packing! 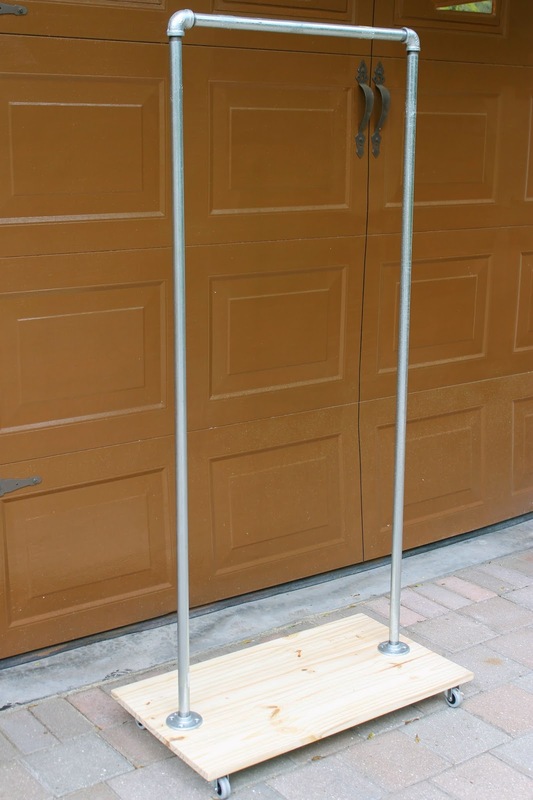 Here are the simple steps for assembling your garment rack. Stain or paint the hardwood! I saw this on your Pinterest earlier and thought it was so clever! I love that you put the kit together for your shop too!